Shin-Okubo Sekitei is a comfortable hotel located ideally in downtown Tokyo, with easy access to almost all sightseeing spots in the city. 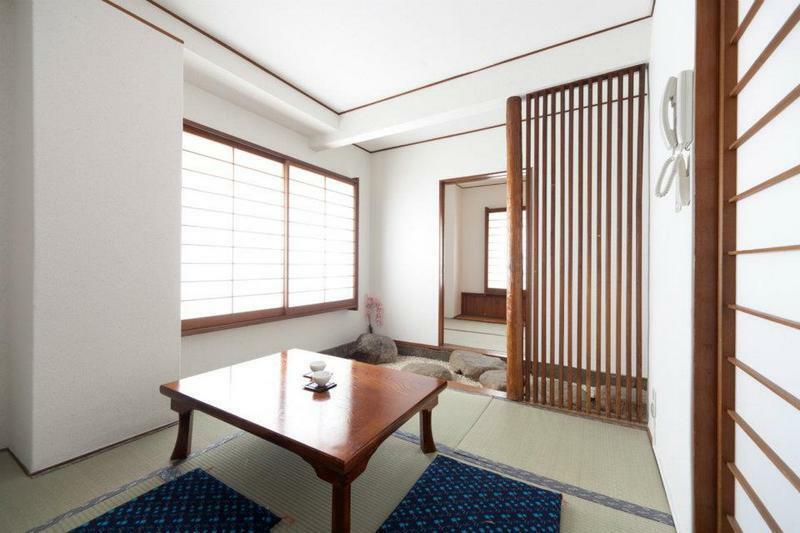 We're located five minutes' walk from JR Okubo Station and JR Shin-Okubo Station. 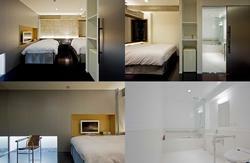 All of our guest rooms are Japanese-style suite rooms with ensuite private bathroom. The rooms are nice and cosy. Shin-Okubo International Hotel, located within walking distance from our hotel, is our sister hotel. Shin-Okubo Station is in the center of Tokyo, providing easy accesses to major shopping and sight-seeing spots. Shinjuku is only one stop away by train on JR Yamanote line, and Shibuya is 4 stops away. Roppongi, Akihabara, Asakusa are also very close by train. Not only Tokyo, we also have very easy access to Yokohama by train. The well-known Korean Town is close by. We have English-speaking staff stationed at the front desk. Please consult the staff for any inquiries and advice on Tokyo sight-seeing. All guest rooms have WI-FI connection at free of charge. PC is available and Wi-Fi can be connected in the common room on the 4th Floor. We have a common room on the top floor. There is a mini-kitchen with a microwave oven, free for our guests to use. Our guests are most welcome to exchange information and enjoy meeting other guests in our lounge located on the fourth floor. There is a PC, TV and DVD player. Cooking facilities and tableware are available for free on the fourth floor. In a few minutes walk from the hotel, you will find many restaurants, Japanese-style pubs and cafes for breakfast, lunch and dinner. 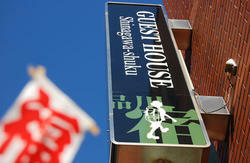 There are reasonably priced dining options such as the Sushi-train and authentic Japanese cuisines. Please note that all areas inside the building are Non-smoking. Major credit cards such as VISA, Master Card, American Express and Diners are acceptable. We are 5 min walk form JR Shin-Okubo station, and 5 min walk form JR Okubo station south exit. Turn left out of Shin-Okubo station into Okubo-dori (street), and walk for about 80m. Turn right at the corner of a super market next to Tokyo Plaza Hotel. Walk straight forward for about 100m until you see us on the right side of the street. This hotel looks out on a narrow side-street, which branches off from the main street. This side-street might be a bit hard to find for a first-time guest. We strongly recommend printing out the map or the pictures in this page in advance. Take Keisei Honsen Tokkyu (Express) bound for Keisei Ueno. Get off at Nippori station (15th stop). Take JR Yamanote line bound for Ikebukuro/Shinjuku, and get off at Shin-Okubo station (9th stop). Take Airport Express bound for Keisei Takasabo of Keikyu Airport line at the domestic terminal at Haneda Airport. Get off at Shinagawa station (2nd stop), and take JR Yamanote line bound for Shibuya/Shinjuku. Get off at Shin-Okubo station (9th stop).